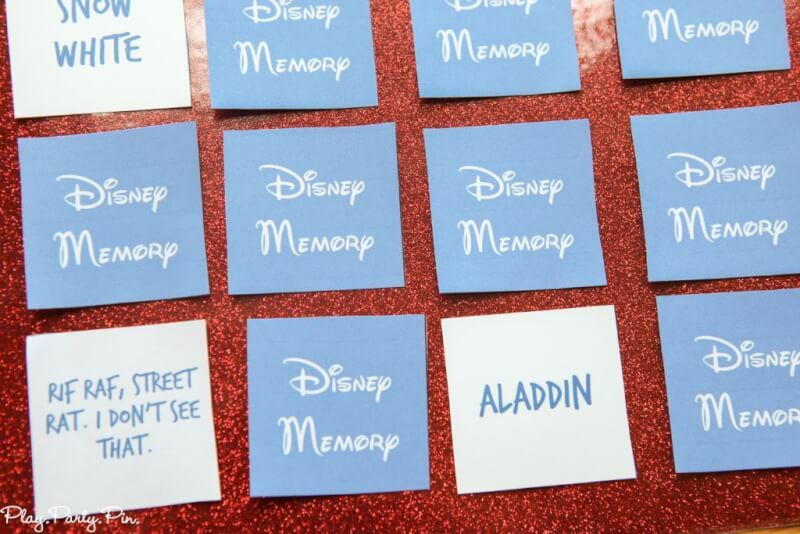 This free printable Disney matching game is perfect for adults, teens, and even young kids who love Disney. Just match the quote to the person who said it to get a match! 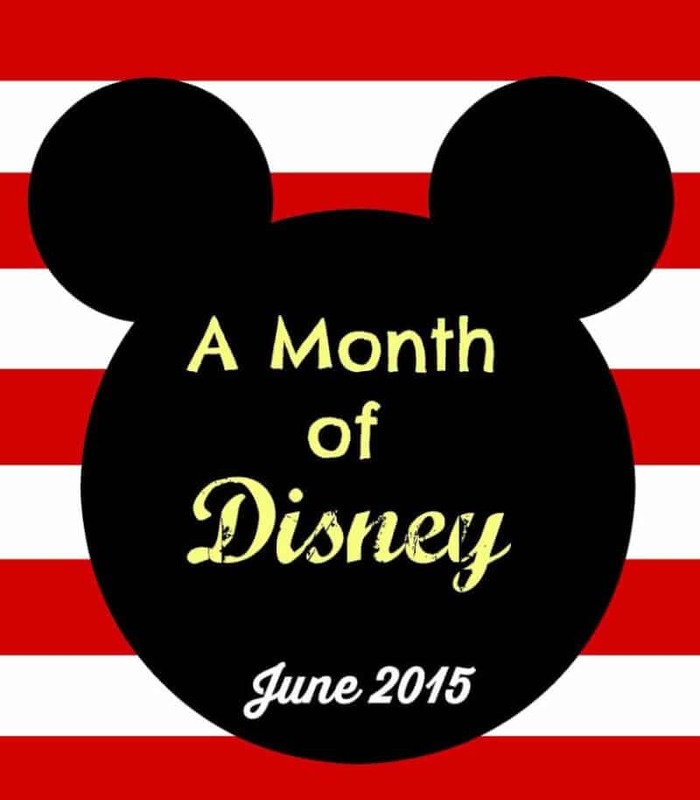 I’m a self-proclaimed Disney fanatic, and I’m so excited to be joining an entire month’s worth of other Disney loving bloggers in the month of Disney hosted by R&R Workshop! 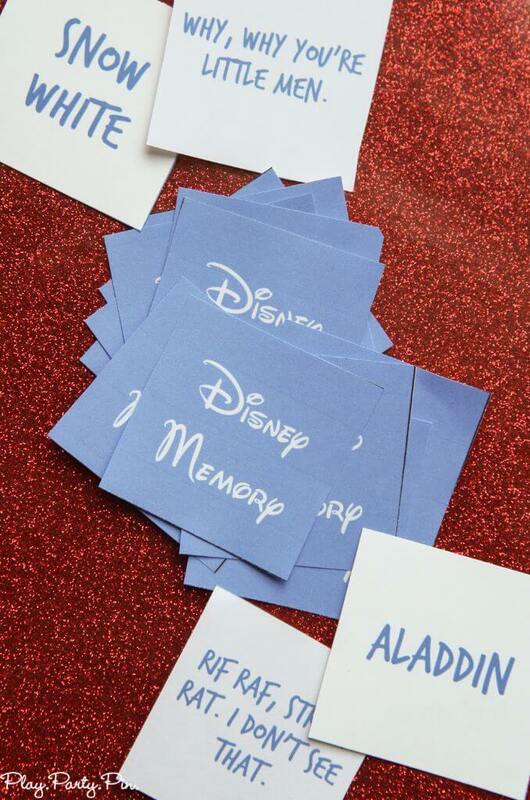 Make sure to check out her blog for other amazing Disney ideas once you’re done downloading this printable Disney matching game. Now back to the game. 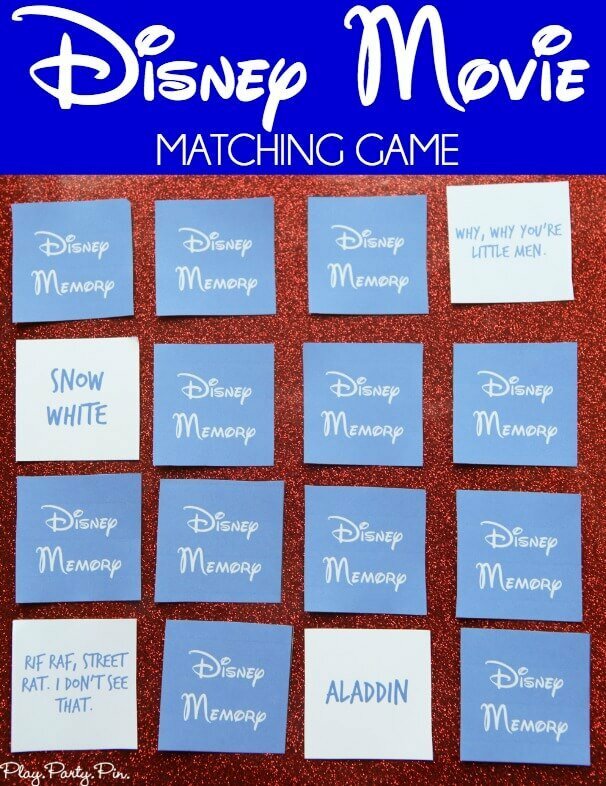 This Disney matching game is simply that. You print out the free printable cards below, turn them all over so the backs are face up, then flip them over until you get a match. I wanted to do something that even adults like me who love Disney could play so instead of doing names and pictures, I did Disney movie quotes, and you have to match it to the person who said or sang it. Enter your first name and email address in the form below to get the printable. If the form isn’t showing up below, click here to get to the form to download the printable files. I highly recommend printing them on white card stock to make them a little more sturdy. The document is setup so that you can do one of two things when you’re printing them – you can either print them double-sided and then just cut out the cards. Or if printing double-sided isn’t an option, you can print each sheet out individually and laminate the front and back sheet together then cut them out that way. You can also laminate them if you’re printing them double-sided to make them last longer. Simple right? Then make a date night or a girls night out of it and see who really knows their Disney stuff. And once you’re done with matching, take your chances with my free printable Disney board game that has tons of other fun Disney trivia questions. Now hop around and check out all of the other awesome Disney themed posts from some of my favorite bloggers.